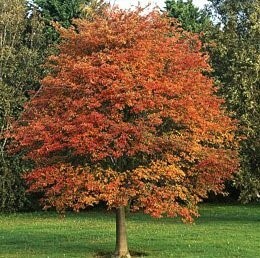 After the heat of the summer, the landscape around us seems to erupt into a symphony of autumn colour. Within our gardens the combination of low light; late flowering perennials and seedheads provide some delightful pictures. There is something quite magical about the quality of light you get at this time of the year. When the sun is low in the sky it enhances all the natural colours so that plants seem to almost glow with their own energy. If you are conscious of this exceptional quality, you can bear it in mind when choosing and placing plants to maximise their effect. There are many plants that look wonderful in the autumn and winter, but the real trick is finding the ones that don’t just look good then, but have other seasons of interest. Here are a few of our favourites . . . Amelanchier – A beautiful small tree with delicate white flowers in spring, followed by leaves that unfurl a delicate pink turning green through summer and finally going out with a blaze of autumn colour in October. Roses are not often associated with autumn colour, but there is a cracking little species rose called Rosa Glauca. 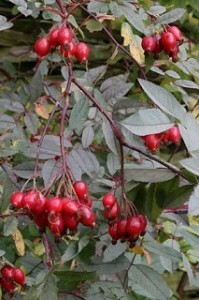 It not only has attractive grey-green foliage, and small pale pink flowers similar to a wild rose, but the flowers are followed by an abundance of rosy red hips which last well into the winter unless they get spotted by some hungry blackbirds. Persicaria affine is not a widely known plant but it’s really good value as ground cover, with leaves that creep out to smother weeds. 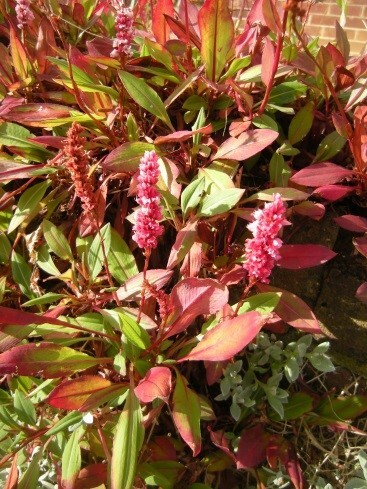 In summer, pink flower spikes gradually turn red and stay through the autumn with accompanying reddening leaves too. Miscanthus varieties are the best grasses for long term winter effect, and they provide a wonderful grace and elegance. 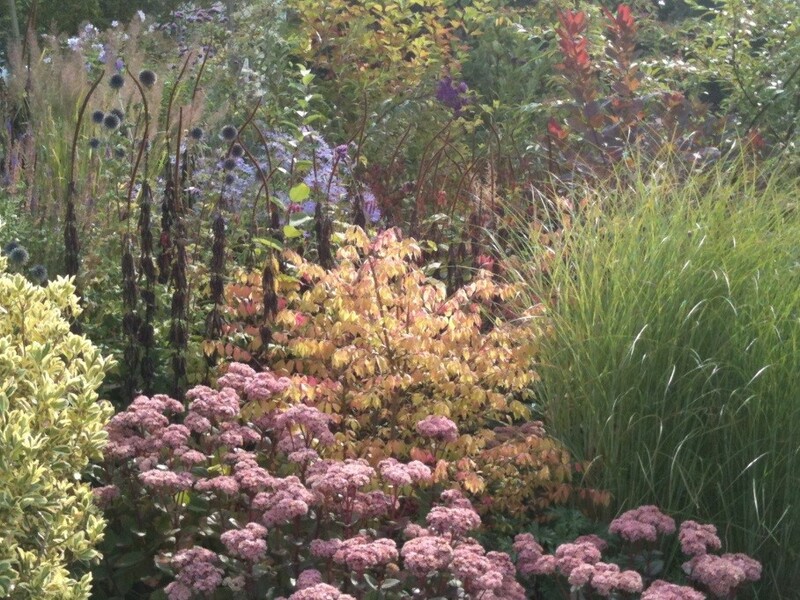 When planted together with a bold group of Sedum Matrona the autumn effect is stunning! Bulb planting tips ….What a recovery!